Stuck on Innes and Sunset. 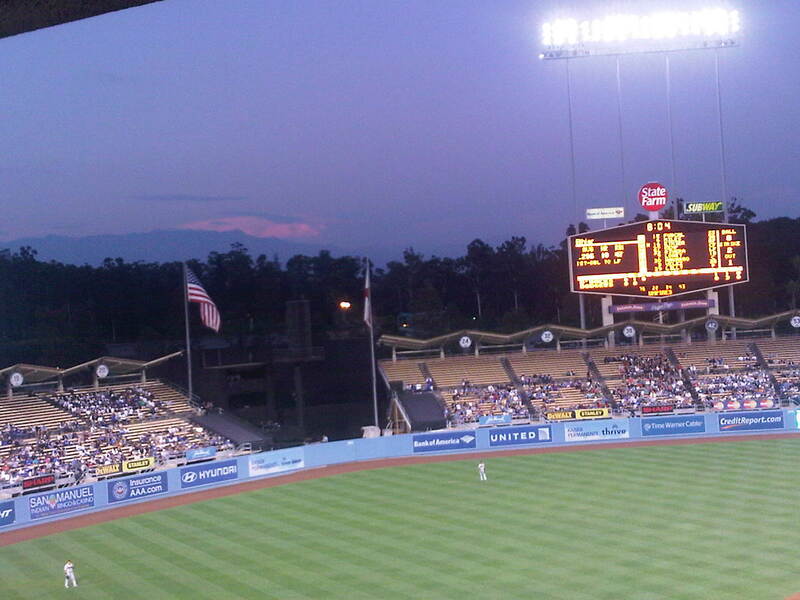 I had the great pleasure of attending a Dodgers baseball game this weekend with a good friend. I grew up watching baseball with my dad, and in fact the Dodgers were often the team of choice for my house. I once accused my dad of being the reason for my move to Los Angeles. From birth he told me I was going to attend school in California so that we could go to Dodgers games all the time. It might be rumored that Dodger was my first word. OK, that last part is not true. I’m not sure what I was more excited about, attending my first Dodgers game of the season–I know it’s late, but there has been a lot of unnecessary drama in the McCourt world that turned me off of baseball this season–or riding the free Dodgers Express shuttle.